DisplayMate has decided to test both iPhone 5 and Galaxy S III in order to see which is the best. The company has checked their display features, including here contrast, brightness, intensities and colors, screen brightness, battery running time and viewing power Consumption and Angles. 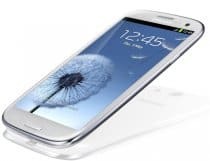 Samsung has a 4.8 –inch AMOLED HD display that is as good as the 4-inch IPS LCD screen of the iPhone 5 and the iPhone 4‘s 3.5-inch display. After the tests, DisplayMate company has concluded that the display of the iPhone 5 is almost perfect. The IPS LCD display of the iPhone presents a higher image contrast and lower screen reflections. At the same time, the range of colors is improved and much more accurate. The OLED cannot make the same type of accuracy that the iPhone 5 IPS LCD has made. This is because OLED is not as refined as LCDs. More than that, it is a quite new technology. Consequently, iPhone 5 performs much better. But, the OLED has a bright future according to DisplayMate. Because the power efficiency of OLED is low and results in power constraints, the display brightness of the iPhone 5 is twice lower than that of the Galaxy S III. The screen readability and the image contrast of iPhone 5 in high ambient lightning is higher than that of Galaxy S III. The OLED display of Samsung has not the same accuracy of the colors as Apple. Consequently, Galaxy S III display present over saturated colors and inexact color representation. It is to be notice that DisplayMate has made scientific tests that concern only the accuracy of the screens. There are many people who prefer saturated and inaccurate colors of the AMOLED.